Transparent Event Tent with solid aluminum frame for wedding party share with you. 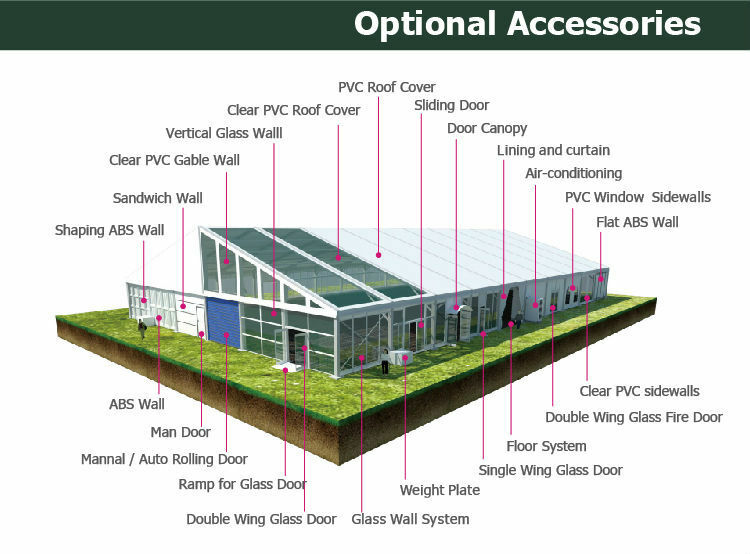 It can be decorated with lining & curtain and any different accessories, such as transparent PVC roof cover & sidewalls, glass wall system, glass door and so on. 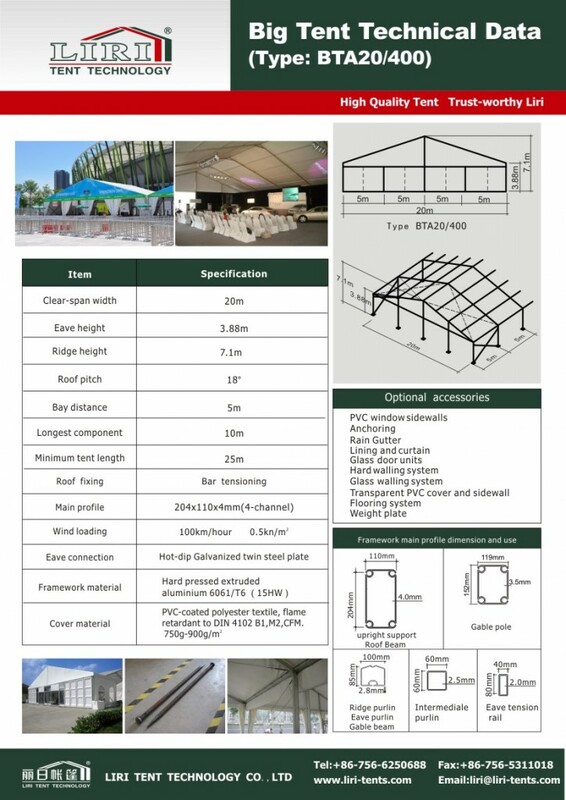 What’s more, this Transparent Event Tent with solid aluminum frame for wedding party can accommodate 900 people. The space are really big for you. Liri Tent is a leasing manufacturer that can offer you variety of colors, patterns, sizes and shapes to meet the need of you event at affordable rates. And the warranty: 10 years for aluminum frame and 3 years for PVC fabric. But the life span of aluminum can be 20 years, the PVC can be 8-10 years. The techinical of our Transparent Event Tent with solid aluminum frame for wedding party for your reference, hope it is hopeful for you.